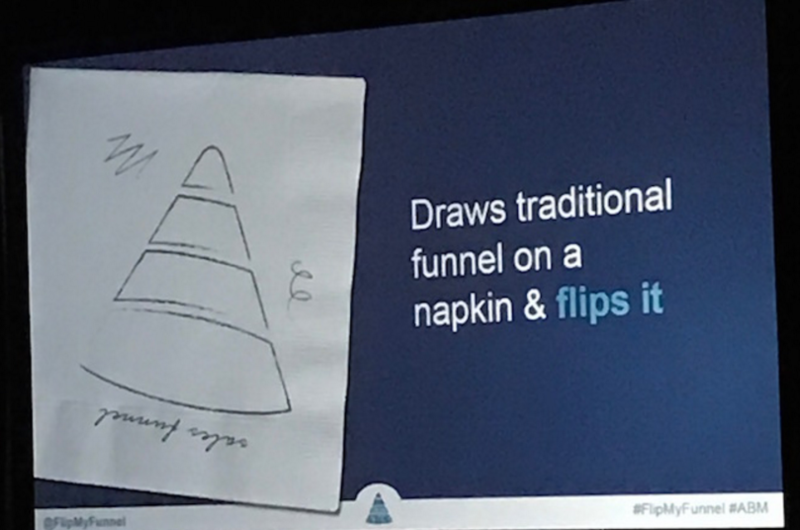 Last week, I attended the #FlipMyFunnel conference in Atlanta. It was a great gathering of B2B thought leaders, innovators, and account-based marketing practitioners that highlighted how marketing and sales professionals are winning with ABM. The night before the event began, Terminus hosted the #ABMies awards ceremony, with opening remarks from Sangram Vajre, CMO and Co-founder of Terminus and Founder of #FlipMyFunnel, a moving presentation from the non-profit organization PowerMyLearning, and accolades to many winners of the #ABMies awards who are moving the needle in the ABM industry. The conference was full of good content, presentations, and booths from companies like Invoca, Vidyard, Engagio, Apttus, Sirius Decisions, TOPO, Marketo, G2 Crowd, Synthesio, and many others. Each of them shared the latest in strategy development, tactics, solutions, and the tech stack. I had the privilege of presenting at the conference, and in my presentation, I shared Marketo’s journey and learnings from implementing a scalable ABM strategy for the small and medium-sized business segment, including early successes and results. If you missed the presentation or weren’t able to make it to #FlipMyFunnel, you can check it out on Slideshare. Terminus, the event organizers, explained how Sangram Vajre came up with a concept for FlipMyFunnel. On a plane home from the MarTech conference in San Francisco back in 2015, Sangram was thinking about the inefficiencies of a traditional leaky B2B lead generation funnel for driving revenue. He drew the funnel on a napkin and then flipped it on its head. The concept of a flipped funnel is simple. Instead of casting a wide net and hoping that some leads will convert, you start by identifying your ideal customers, or accounts (hence the name account-based marketing), and then expand your outreach by engaging your prospects on the channels they are actively using such as social, mobile, email, display, and video. Then, after your prospects become customers, you continue to actively market to them to grow their customer lifetime value and create advocates. Sangram was so excited about his idea that he decided to start evangelizing it further by building a community around it, launching the #FlipMyFunnel event and taking it on the road. Fast forward to today, and it’s grown a significant following. 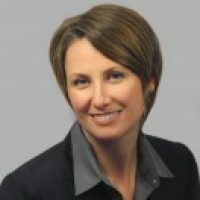 It’s always great to hear about the unique experiences of companies who have embarked on their ABM journey, and one of my favorite presentations was from Julia Stead, Director of Demand Generation at Invoca, who shared their 16-month ABM journey. For them, it started as an attempt to try something different when their broad-based inbound strategies were failing. Julia described their timeline, ABM strategy, and account selection process, as well as their initial multi-channel pilot program at Dreamforce, which included pre-event direct mail, display ads, email and webinar nurturing, a VIP experience at a Giants game, and an on-site incentivized offer (free Apple Watch for those who attended a meeting)–all for target accounts. The initial success of the pilot triggered program expansion, and after only one year, they saw tremendous results: 26X the pipeline to cost ratio for ABM beta programs, 1.8X more pipeline than their previous two quarters, and a 26% increase in opportunity creation rate. But eventually, things started to slow down, and the team was challenged with a sub-optimal account selection process and too many accounts, which led to a lack of personalization and split focus from the sales team. How much and what % of revenue is expected to come from ABM vs. inbound marketing? What volume of work is required for each type of account? Does the sales team have the capacity, and are they structured in the right way? Marketing then developed personalized content and campaign strategy to match each type of persona and even restructured the content team to focus on producing personalized content for target accounts. This framework is supported by a foundation of built on insights; interlock/communication; technology infrastructure; and organization, roles and responsibilities, and skills and training. Because of these foundational elements, Matt explained that creating your MarTech stack is not a one-size-fits-all effort, and there’s not one single tool that’s going to solve all of your company’s needs. 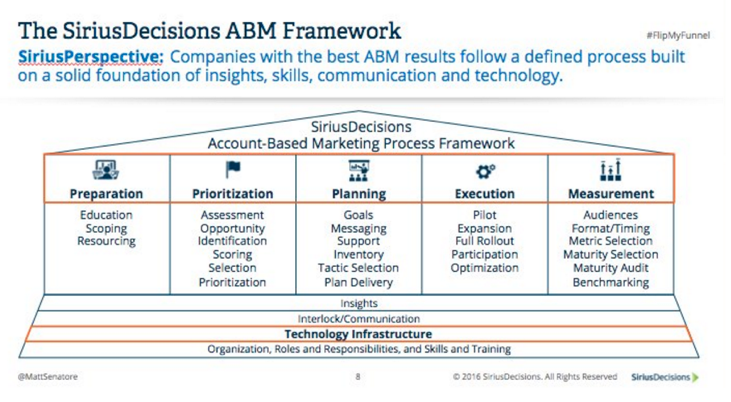 It’s about finding the right ABM solution that supports the essentials. Among the emerging technologies to keep track of, he mentioned tools that support predictive and intent monitoring, customer journey mapping, and diagnostic measurement. When asked “What’s next for SiriusDecisions?”, Matt mentioned their focus on improving the post-sale experience and the changes to their “waterfall” model, which they will be unveiling at their annual SiriusDecisions conference in spring 2017. Aside from having the right tools to support your ABM efforts, it’s critical to align sales and marketing. Craig Rosenberg, “The Funnelholic” and Chief Analyst at TOPO, an analyst firm that helps B2B companies grow revenue, delivered a great session on how orchestration between marketers and sales development representatives (SDRs) can put you on the fast track to success. Tighter sales and marketing collaboration is not a new concept, but Craig emphasized that ABM requires a mindset change from both teams. First, both marketing and sales need to focus less on MQLs (marketing qualified leads) and more on SQLs (sales qualified leads). Second, they need to work on the same set of strategic accounts (and contacts) to produce better results. Third, you may want to consider transforming your outbound SDR team to account-based SDRs. This doesn’t mean that inbound processes and inbound SDRs will go away; it just means you will need to supplement your inbound, MQL-focused efforts with targeted, account-based sales outreach. Finally, design orchestration across your SDRs and demand generation marketers. With ABM adoption on the rise, leaders and practitioners are looking to different tools that complement an account-centric approach. Tyler Lessard, the charismatic CMO of Vidyard, discussed the value of using personalized video content in your account-based marketing strategy. Case in point: Last year, Marketo partnered with Vidyard on a number of marketing initiatives, and one of the most successful was a personalized video campaign for key strategic accounts that drove a number of registrations to Marketo’s Marketing Nation Summit. (You can watch a preview of it here.) Additionally, Tyler shared that sales emails with one-to-one videos are incredibly effective ABM tactics, especially when they are complemented by video marketing campaigns. Account-based marketing encompasses a lot more than the name implies. Jon Miller, former Co-founder of Marketo and current Co-founder and CEO of Engagio, discussed how ABM involves both account-based marketing and account-based sales development. According to TOPO, marketing alone isn’t sufficient to deliver ABM success as marketing typically drives only 15% of penetration in target accounts. 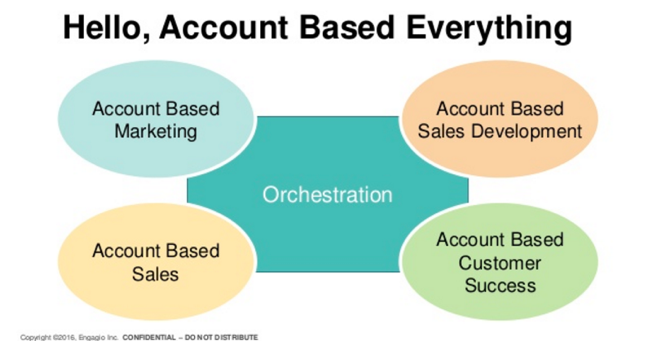 Engagio is all about account-based everything (ABE), where account-based marketing, sales development, sales, and customer success collaborate to implement a cohesive ABM strategy, instead of operating in siloes. Overall, it was a great conference—kudos to the organizers of the #FlipMyFunnel event! Did you see another great session, or have specific insights you’d like to share? I’d love to hear from you in the comments below.